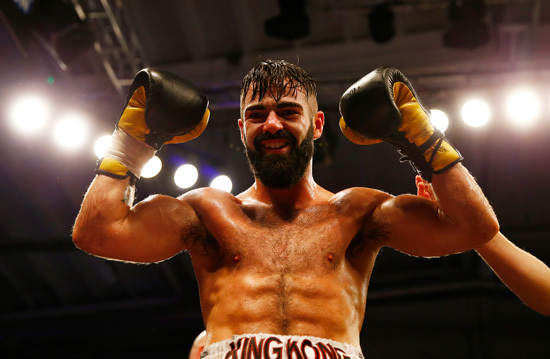 Dublin’s Jono Carroll will face Liverpool’s Johnny Quigley for the vacant IBF European Super-Featherweight crown at Belfast’s Waterfront Hall on Saturday 17th June, live on BoxNation. Carroll (13-0, 1 KO) has built great momentum in recent years and is rewarded with his first opportunity at a major title. The undefeated southpaw brings intensity and action when he steps through the ropes and is determined to secure his first professional title. A victory over Juan Luis Gonzalez in his most recent appearance capped a great year for the Dubliner as he notched up four victories, with activity being key. Quigley (14-0, 3 KO’s) returned from a lengthy ring absence with an excellent performance in Liverpool, in October of last year. Dominant from the opening bell, there were little signs of ring rust as he unleashed sharp combinations, showing great variety before the referee intervened. Quigley is also looking to secure his first major title and knows victory on fight night will lead to some huge clashes in the Super-Featherweight division. Tickets for this event will on sale soon.